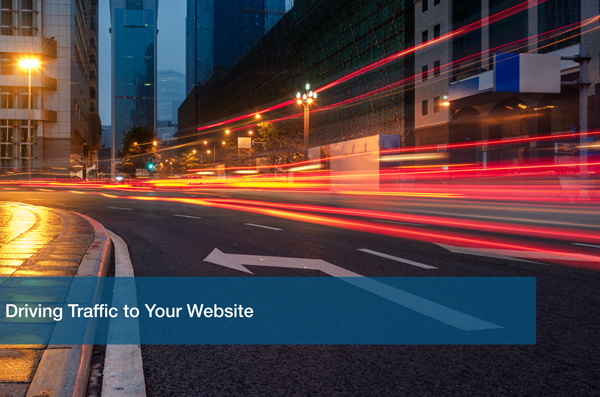 Driving traffic to your website has become an art form that many have spent years mastering. Technology evolves almost every 2 years, and some businesses are struggling to keep up. What’s the next trend? Have you applied it to your site yet? Do you need different software? These are questions that companies ask themselves when their website traffic is low. The magic solution is not just one thing. There are multiple factors that contribute to this, and keeping up with them can be hard. In a previous post, we talked about How to Effectively Target New Leads. How are you driving them to your site? Have you ever googled something like “restaurants in Austin” and you see small ads appear in your search results? That’s Google Adwords at work! You create ads that are catered to certain “keywords” so that your business appears in the results. This is probably the easiest way to garner traffic through search engines. You can bid on keywords so that your business is shown above another business. It’s easy to setup and use and can broaden your outreach! Social media has truly changed the way small businesses advertise online. Facebook alone serves highly targeted ads and videos to the right audience for you. Using social media can create interest which can then lead to link clicks to your site. Something as simple as creating an ad that shows a promotion with a link to “unlock” or “uncover” can get a potential customer to your website. You can’t go wrong with a strong email campaign. Before reaching out to customers you can create an email campaign that gives them a small taste of what you offer to garner interest. Offer a limited time discount or share a story of how you solved a problem for a customer. Give them something that peaks their interest, and then give them something to do. Add link clicks that send them to your site to complete the cycle. The biggest and most important solution to driving traffic to your website is to create a link web. Sprinkle the right amount of links throughout your content. Social media, blogs, images, brochures, emails, everything has to have at least one link. Create a web of links that all trickle back to your site. Keep things consistent. Maybe a “CTA signature” that you add to all your content. Keeping it on people’s minds no matter what they are viewing is essential. At the end of the day you can have solid ads, but if your website is not top notch, it would have been all for nothing. That’s why ITC offers amazing web design and development for small businesses. We want you to put your best foot forward so we design and develop a website that will represent the best of your business online. See if you qualify for a Free IT Analysis to discover how ITC can help your business get the online traffic it deserves.